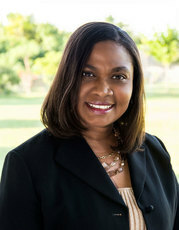 Board Member and Officer of the Collaborative Family Law Professionals of South Florida and Member of IACP (International Association of Collaborative Professionals). The Law Offices of Bernadene A. Rodriguez, P.A. handles any of the above matters. It is important that you seek the help of a Fort Lauderdale family law attorney as soon as you think of filing for divorce, immediately after being served with divorce papers by your spouse, or as soon as an emergency arises in which you might require spousal support or child support, or protection from your spouse. Please note that you do not need to file for a divorce to receive financial support from your spouse for yourself or your children. Let us help you get through these difficult times. Ms. Rodriguez believes that every client, man or woman, deserves individual attention and understands the emotional, physical, and financial toll her clients suffer during a separation or divorce. Ms. Rodriguez offers alternatives to a trial to reduce costs and minimize the impact of divorce through collaborative divorce or mediation; however, if that is not possible, she offers litigation representation that is aggressive and diligent yet caring. HAVE A QUESTION OR WOULD LIKE A CONSULTATION? Call me today at (954) 424-2121 or complete the form on this page. I typically respond within 24 hours often the same day.